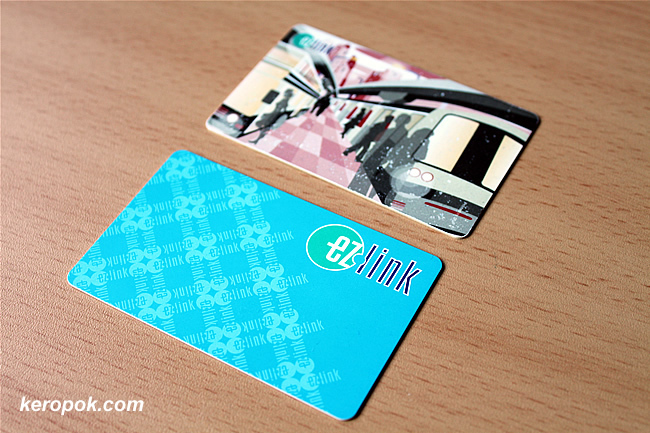 After the F1 frenzy in Singapore over the weekend, it's now the EZLink Card frenzy. Earlier this evening, I saw a long snaking queue at the Buona Vista Train Station, waiting to exchange their EZLink cards. From 1 Oct 2009, public transport commuters in Singapore would have to use the new CEPAS compliant cards for public transport payment. The blue-ish card is the new CEPAS compliant EZLink card. The other card is my old EZLink card that I have been using for the last few years. How do people top up their cards? For most people, topping up of this electronic purse is via the General Ticket Machines at the various train stations or via GIRO (bank debit auto top up). Many friends now use the credit card auto top-up because the credit cards gives a rebate for top-ups. For me, I top up using the EZOnline Readers at home. 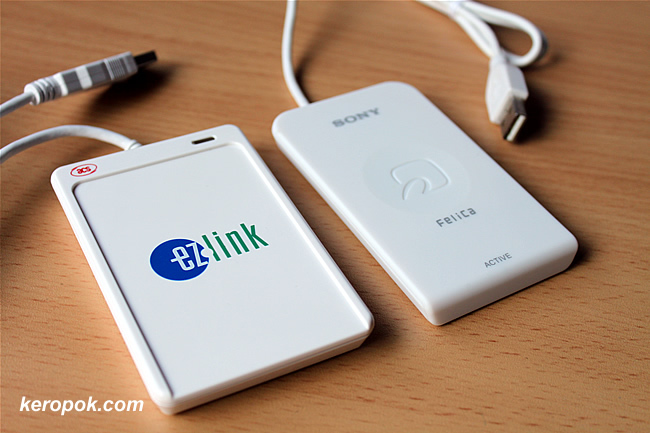 Around 2 weeks ago, owners of the old Sony Felica readers was entitled to a one for one exchange for the new readers. Somehow the new readers do not look as nice as the Sony Felica readers right? It looks cheap! I wondered if I did the correct thing. Swapping a $49 Sony Reader for one that looks 'cheap'. But if I don't change it, the Sony reader is useless in Singapore. Sigh. For those who have not changed it, you got tomorrow to change it. I have 2 EZLink cards and I have changed one of it a few weeks ago. I am keeping the other card. Like a few people I know, we are going to 'test' and see if the old card still works on 1 Oct. If not, we will flip out the new cards. If you have changed to the new cards, do you realize that they are less sensitive? For the old cards, the readers on the bus and train stations reads it immediately. For the new cards, it seems to take a longer time or you need to tap it again to work. I wonder if it's only my new card that's not as sensitive. If you want to read more about EZLink, hope over to DK's post about the extra charges here. Why do u need a reader ? Our Transport Ministry went to SG to study the ERP (after 15yrs still unable to implement due to the the cost impact on vehicles for the traders/businesses). They hv studied the debit cards for the public transport as well. Y'day they announced that they r phasing out the ticket-booth in favour of a chipcard. € 7,50 for the card n € 20 minimum (enough to pay penalty for fare cheaters). new ezlink card...can we top up ourselves?